In an online sermon titled, “The Wages Of Sin Is Death”, the World Mission Society Church of God (WMSCOG) claims that humans lived as angels in heaven prior to being kicked out for sinning against God. “The Bible teaches us that we were angels in heaven before we were born on this earth. What happened to us in heaven, that Christ urged us to repent when He came to this earth to save mankind and first began to preach?” © WMSCOG English WATV.org – Accessed on 04/09/2011. “In the above verses, “I” designates Solomon, who was the third king of Israel. When he wrote the book of Proverbs, he stated that he already existed before the creation of the earth. From this, we can see that he existed as a spiritual being before he came to this earth─that he lived in the angelic world, the kingdom of God.” © WMSCOG English WATV.org – Accessed on 04/09/2011. Because the WMSCOG thinks that the “I” refers to Solomon, they attempt to justify that Solomon (and thereby all human beings) existed in heaven before they existed on earth. However, this idea cannot be reconciled with Scripture. It can not even be reconciled with the passage they argue from. Here, the literary device of personification is used to describe God’s wisdom. Thus, it is clear that when Solomon writes “I”, he is not referring to himself nor is he stating that he existed before the creation of the earth as the WMSCOG states in their online sermon. On the contrary, Solomon is speaking from the perspective of Wisdom. Thus, their attempt to use Proverbs to justify we were angels in heaven before we existed on Earth fails easily when we read the chapter from the beginning. Are We Angels That Were Kicked Out Of Heaven? Part 4 – When Were Angels Created? i believe and i want to know more and i will be baptized soon and am in zimbabwe. How familiar are you with the WMSCOG doctrine? How many studies have you done with them? What in particular did you hear that made you decide? Do you know the time commitment involved? Have you asked them if there is a monetary commitment involved? Have you compared them to similar organizations? Have they told you that the end is near and do they tell you when that will be? I do not advise been baptized by any church until you are familiar with their beliefs and who it is that they worship. It would be best for you to make an informed decision. The WMSCOG teaches many things that, in my opinion, deviate from mainstream Christianity. They also teach things that, in my opinion, are blasphemy, and clearly go against the Bible. They believe that their founder was the Second Coming of Jesus Christ, however here you can read some of what their founder writes and how it contradicts what is in the Bible. Also, remember that Jesus Christ gave us warning against false messiahs that would come in His name. He warned us not to be misled because His Second Coming would be at the end of the world and unmistakable. This obviously, has not happened yet. The Bible also tells us that salvation is found through no other name than Jesus Christ (Acts 4:12), but the WMSCOG prays not in the name of Jesus Christ, but in the name of their founder. To me, this is a very clear warning sign that something is not right. One of the more alarming things to me about the WMSCOG to me though is that they worship a Korean lady whom they believe is god. This Korean lady (her name is Zhang Gil Hah) is also the chairwoman of the International We Love U Foundation, however that site makes no mention of any claim to divinity. See for yourself here. This is a very serious red flag to me. My friends in the WMSCOG are always talking about how people must keep the Passover and feasts to be saved. Well if that is true, then why do they keep them on the wrong dates? Or even more alarming, how come Zhang Gil Jah doesn’t say anything on the International We Love U Foundation’s web site? That doesn’t seem very loving to me. In all, the similarities between the WMSCOG and other controversial groups such as the Unification Church (the moonies) are too great to leave one comfortable. As you can see, the story of their founders is very similar. The truth can always stand up to questioning Laureen. My recommendation to you is to read the articles in our Evidence section to see for yourself what the Bible teaches vs what the WMSCOG teaches. Please feel free to ask any other questions through our Contact form, or here on the comments section. We would be happy to help. May God bless you in your search for the truth, and please let us know if you have any other questions. I lost my daughter to this group. They told her not to believe anything on internet. She does not listen to us (my husband & I). She even said that her minister was her dad. How can we bring her back? She’s been with them only 3 months and brainwashed so quickly. Unfortunately, e-mails to your address are bouncing back as undeliverable. Can you please contact us using our Contact page so we can assist you? God told Isaiah, My ways are not your ways. Neither are my thgohuts your thgohuts. For as the heavens are higher than the earth, so are my ways higher than your ways and my thgohuts than yours. I always thought that was God saying to us, Don’t hurt your feeble little brain. Just let me figure it out for you. Just keep doing what you are doing Pastor. We are with you, because we believe that you are with Him! 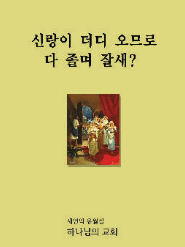 저는 한국인입니다. 지금은 하나님의 교회를 가지 않아요. 저도 어렸을 때 저 부분이 몹시 궁금해서 당회장에게 물어보니 제대로 답변을 못 했던 기억이 납니다. 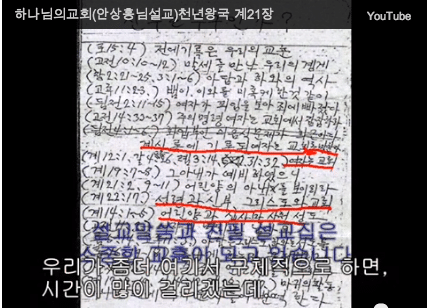 잠언 8장 22절의 ‘나’는 솔로몬이 아니라 의인화된 지혜를 의미하는 것 아니냐고 잠언 8장 1절을 보여주니 쩔쩔매더군요. 성경도 모르는 얼간이들이 감히 장길자 따위의 할머니를 하나님이라고 참칭하면서 십일조와 헌금을 걷어가는 걸 보면 하나님의 교회는 진정한 적그리스도이며 배도와 멸망의 자식들이라는 생각이 듭니다. 예수님이 속히 재림하셔서 저따위 쓰레기들을 말씀으로 심판하시기를 진심으로 기도합니다. 그리고 이 사이트 운영자분께 주의 이름으로 축원드립니다. I have lost my husband to this organization. We are newly married 3 mo and he has completely changed. I am not sure what to do. You might want to let him know that he’s not following the Bible because the Bible instructs men to spend their first year of marrage is to be spent making their brides happy. If this group really followed the Bible he would be with you trying to make you happy right now. Take some time and research this stuff for yourself. The more you know the better you will be able to cope with this. @kathleen….this group is really dangerous. ever if they come to your doorstep, the easy way is just to drive them out by let off lose your dog from its cage. see, there are lots of funny thing happened with this group, one may feel irk but if you know how to play with them, it may enlighten them too and who knows these members may backed ou too..lately, there was a coup d’etat in heaven. their god ahnsahnghong using his army specialized in lies and deception tactics, including intimidation, invaded heaven and ahnsanhghong grabbed all the posts there in heaven, God the Father, not spared to the extent that Jesus evicted from his post as Christ.the mother god now is very happy, he got now two father gods partners on her bed. ok, this event led me to think a little bit deeper trying to think a good name applicable to this group, and i arrived at the best is ANTI-CHRIST 666. Lets see if this name fits. anti-christ means against christ and who uses lies and deceptions in deceiving people. since they have christ ahnsanghong as Jesus already evicted from the post and declare himsel christ ahnsahnghong revealing himself as the antichrist 666.he made himself let known clearly that he is the antichrist because he already grabbed that position after the coup d’etat in heaven. How dangerous? Did they ever ask money to you? Before you say something about us did you ever tried to visit? Me? I don’t see cults praying with you there! How can you say people in there can brainwash? Three times GOD called me and I ignored him! But for the last time the members approached I tried to listen and now I accept the TRUTH! IT’s hard to believe yes of course. Yet I tried my best. The only way to receive salvation is by accepting the truth! GOD never leave us. The problem is you guys are lacking in faith. Have faith at least! Here in Cebu Philippines. I was also preached by two girls but they never told me what religion they came from.They said that I need to do the passover in order to be save and the sabbath day during saturday.They also said that their is the bride of Jesus/God that is a woman, and also that we are angels before in Philippians 3:20. It’s like that for them they are the real christian and the others are nOt.They told me that babies who died will go to hell and then Jesus will give them chance by preaching their. What they don’t know that I’m a Born Again Christian and I know what is it that I believe…Please leave a reply of your comment..
everybody in WMSCOG believe that they are christians, but nope they belong to Aryan denomination because they have none real god. how could be a dead man and his living concubine became gods is only the kind of thinking of insane people. i really wonder how the buddhist and hindu traditions became accepted by a number of filipinos. buddisht and hindus believe in reincarnation which is not even mentioned in any books of the bible. filipinos become idiots like the uneducated nepalese and indian hindus. WMSCOG telling they are the true church. one thing certain is they are the true church of satan and all of them will go to hell. I thought only God can say who is going to heaven and to hell. lol. try not to condemn yourself so soon dude. remind me to go to your church where they call people idiots and say whos going to hell or not. lol im literally dying at all these comments you “christians” and “believers” are commenting. thank God im not one of you. Brother, I understand that you are very confused. Yes it is hard to believe, but if you try to listen carefully, you will understand that everything. AS IN EVERYTHING YOU WANT TO KNOW. I am a catholic before, and I have a lot of questions about my religion because my religion does not follow the TEN COMMANDMENTS. World Mission Society Church of God aims to tell everyone that our second coming Christ already came down to this earth to give us salvation. I know you have read the bible yet you did not know Jesus came for the second time. So because you see catholic as wrong the WMS is right? I’m sorry that you’ve fallen for Satan’s great deception. I hope your eyes are opened soon. You’re trapped in a nest of lies! Once again no proof only regurgitation of the WMS propaganda. So sad! Coming FROM THE FARTHEST OF THE EAST?? The bible never told us that. As I recall the bible said “The coming of the Son of Man will be like lightning that can be seen from east to west”. Like a lightning. This does not mean he will come from the east which ya’ll assume is North Korea. Salvation is only found only in the name of Jesus Christ. I will not believe in the name of ang sang hong because the bible never told us that he is our saviour. This church want to destroy the name of Jesus. I accidentally fell upon this website I’m not even sure how. I dont belong to a sect or certain denomination. but as a person from the outside looking in, i literally think this website is psychotic and a waste of time to look in to. if someone believes in something that makes them happy and they are doing no wrong why are you trying so hard to ruin what makes people happy. its not like they are handing out “koolaid” or killing poeple. they are doing what they believe is right the same way you believe you are right. i honestly find this website disgusting your trying so hard to lear people into your own beliefs by bashing another one. if you ask me the members of this church are being persecuted just as jesus was, i see you as the jews that crucified him. i hope you have a bashing / examination website on the other 849 denominations that you dont belong to. because i think your absolutely pathetic for “examining” just one because its new to most people. You are obviously a member. You are not the first to try this “I’m not a member of any church but…”. No person in their right mind would defend a cult. Especially one such as this one that has done so much damage.